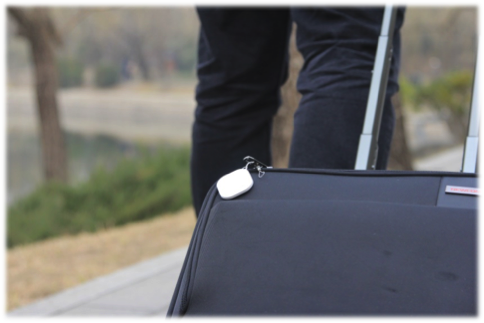 Leading the Bluetooth Smart Tracker technology, Nut Technology is proud to introduce the world's best designed Bluetooth smart tracker—the Nut Find 3. Now, the Nut Find 3 is available on Kickstarter at 50% off of the regular price. Piece of Nut. Piece of Mind. Piece of Nut. Peace of Mind. How much time does one spend searching and worrying about lost or misplaced belongings? Whether it’s the twenty minute drive back home for the wallet, or the five minutes spent this morning searching for the house keys – it happens more often than one cares to admit. Get back the time and spend more moments enjoying life. Welcome, Nut Find 3. 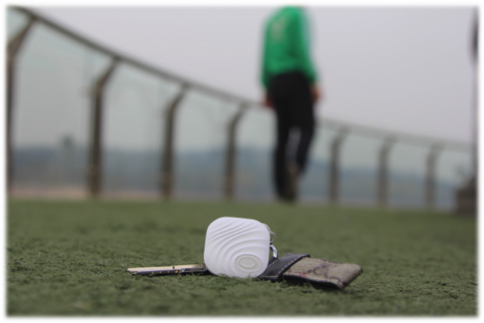 A smart tracker designed with active lifestyle in mind. Easily misplaced items are now within reach, no matter where they might be. 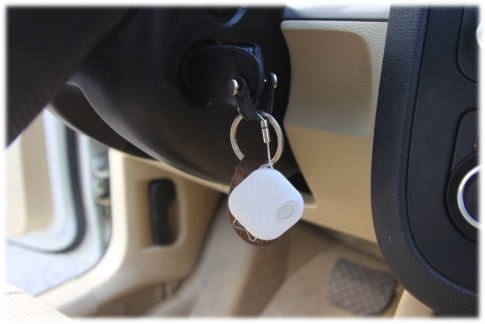 Simply attach or stow a Nut Find 3 on any valuable – smartphone, keys, wallet, bag – and avoid losing or misplacing it ever again. Designed with a beautiful exterior and offered in a gorgeous range of neutral colors to discreetly blend into the background, the Nut Find 3 is compact in size at 1.5” square and only 1/8” thick. Never know it’s there, until it’s needed. Simple. Zen found. How Nut works is simple. It is a multi-function smart tracker, designed to monitor anything it is attached to. A bevy of features include one-touch find, bi-directional alerts between your smartphone and Nut Find 3, access to a lost and found network through ‘crowdfinding,’ location records, group sharing, multiple tracker monitoring, and a replaceable battery. Nut smart trackers are managed via the easy-to-use mobile app, available for both iOS and Android. 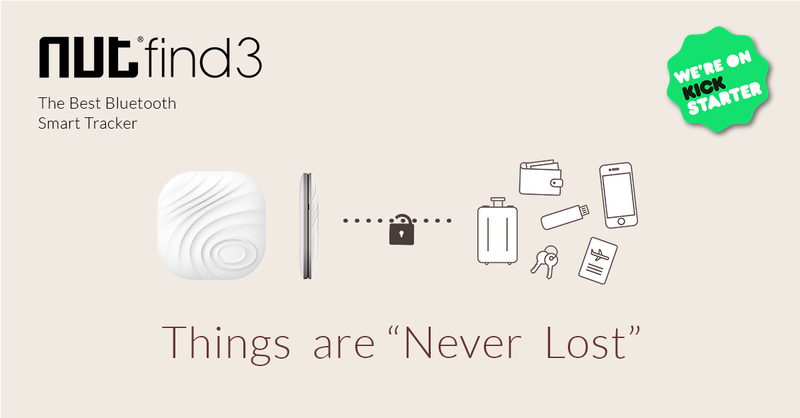 Nut Find 3 is the best performing smart tracker in functionality and design. Nut Technology has reinvested all of the gained insights, customer feedback, and new technology into its development. The latest design retains all of the functionality of the Nut Find 2, and includes new optimized features. As reflected in the nature-inspired exterior design, Nut Find 3 is eco-conscious and has a replaceable long-life battery (up to 1 year), along with frustration-free recyclable packaging. 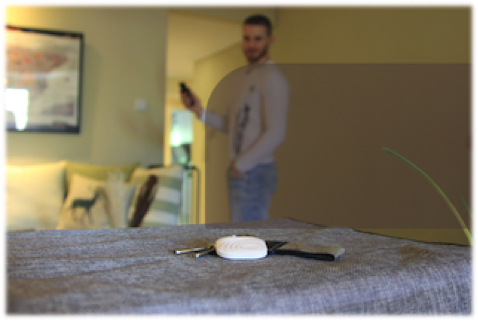 The dual anti-loss and find-it modes provide the option of noting status and location of an item, and/or actively locating a belonging that’s been misplaced or lost. Anti-loss mode provides the ability to set ‘perimeter fencing,’ allowing a personalized zone to minimize alerts in areas such as home and at work. Find-it mode offers the flexibility of bi-directional alerts between a smartphone and Nut Find 3. The user can now ping a smartphone, or ping the Nut Find 3. Nut Technology has upgraded the software to improve and provide the best user experience, with an enhanced, user-friendly interface. The Nut team is always seeking new innovation and improvements, and will continue to release app software upgrades regularly. Nut Technology has been operating since 2013. The team launched Nut Find 1 in November 2013, and followed with Nut Find 2 in September 2014 – both to widespread acclaim. In June 2015, the smaller Nut Mini was launched with similar popularity. Today, Nut Technology is ready to launch the next-generation Nut Find 3, encouraged by the success of its previous launches and the valuable feedback of customers. Right now, Nut is turning to Kickstarter to help raise $30,000 or more. This startup capital will cover the costs of continued development, manufacturing, product marketing, and distribution of Nut Find 3, pulling together everything learned into the most compact and most effective tracking system yet. The contributions will help the company to innovate and make lives around the world simpler and happier. Deals as much as 50% off of the regular price can be found on the Kickstarter Page.